Hello All! I am having a sale in my Tart Deco etsy shop starting right now until Dec. 5th. Use the coupon code TURKEY20 for 20% off everything in my store (including sale items)! I have lots of cute hair accessories, some for the holidays- plus other vintage goodies like a beautiful mandarin collar house coat. Also, don't forget my Shabby Apple giveaway. It ends Dec. 4th and there are some pretty good odds right now! 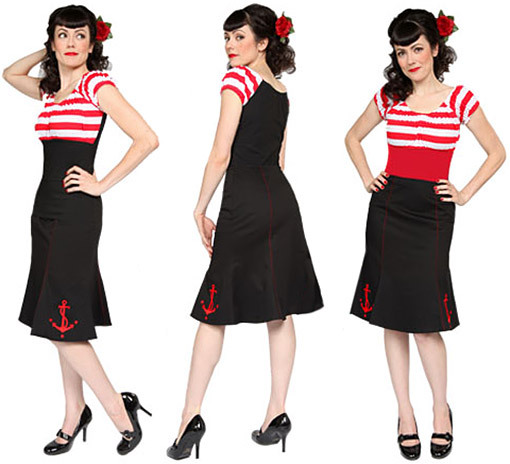 Labels: 20s 30s Flapper, 40s WWII, 50s Rockabilly, fashion, holidays, Tart Deco, What's on Sale? I am super excited to have been contacted by Shabby Apple to host a giveaway. Right in time for the holidays too! 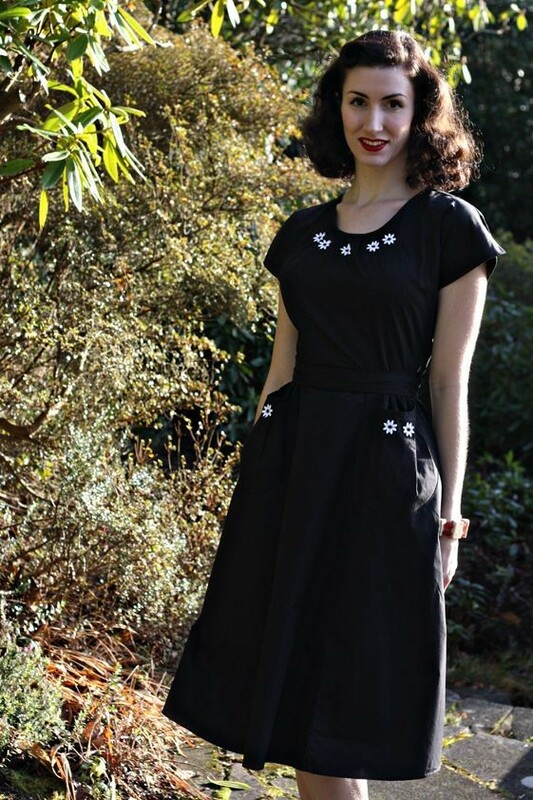 I'm giving away the adorable Francine skirt from Shabby Apple (www.shabbyapple.com), an online boutique of women's dresses and other fabulous items. It is a little hard to see on this picture, but this skirt is made of black twill and has the cutest bow at the waist. 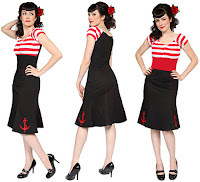 I also love the 40's inspired high waist. 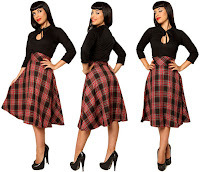 This skirt is available in sizes up to a 38.5" waist (yeah!). The giveaway ends on Sunday, December 4th at midnight (central time). I will choose the winner on Dec. 5th. Open to U.S. Residents only. Sorry! This skirt would be so perfect for New Years, don't you think? Good luck! Bramcost Publications is having a fun 12 days of vintage handmade party where they are posting free patterns from their various vintage books. Todays post is a free vintage apron pattern that is super cute and not very difficult to sew. In the Heyday is giving away a beautiful Fleur dress with daisy trim. Get on over there and enter! Ends Monday, Nov. 7th. I am frantically going through my seasonal clothes right now and got hit with that feeling of dread. You know- the "I have nothing to wear this winter" feeling? 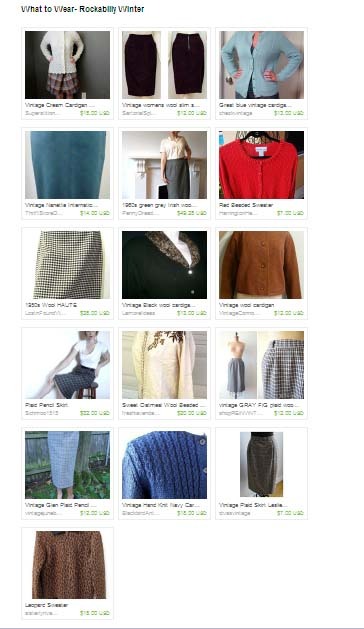 I am not sure why what I wore last year isn't cutting it for this year, but it inspired me to put together an etsy treasury of cute sweaters and wool skirts. Hello All! If you are anything like me you like to have a nice big reference collection for inspiration. 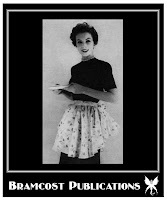 So, in keeping with my librarian side, I have decided to start a page for Rockabilly Magazines. I have done a few searches and have yet to find a decent listing of them in one place. I will also need your help to make sure I can make it as comprehensive as possible. When I say comprehensive, I mean magazines that include enough about the various sides of Rockabilly and it's offshoots, like Pin-up, Punkabilly, Tiki, etc. If you see that I am missing something, drop me a line and let me know at tartdeco at gmail dot com. Feelin' Blue? Get a Sunny Disposish! Hey everyone! I am SO excited to debut my band Bootless Betties' new music video. It is done in a silent film style and is sure put a smile on your face. Be sure to like it and share it! 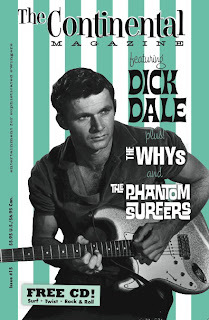 The song is off our latest album "Good Time Whoopee" which is available online through reverbnation.